Mount Royal Camping provides a private camping area in a forest clearing for up to 50 people. Ideal for groups. Close to world heritage listed national parks. 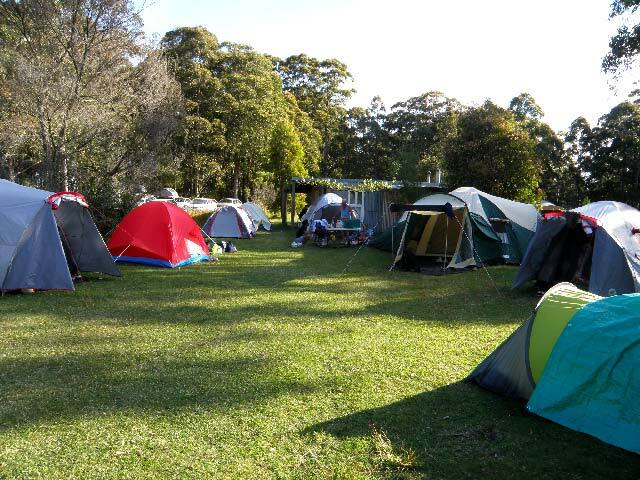 Mount Royal Camping is located on the south-western edge of the Barrington Tops, only 3 hours from Sydney, 2 hours from Newcastle and approximately 1 hour from the Hunter Valley vineyards. 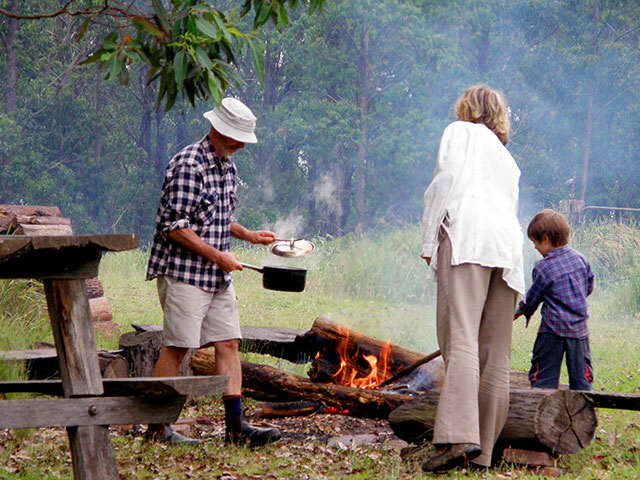 Mount Royal Camping provides a bush camping getaway to bring your own tent and camp in extensive soft, grassy bush camping sites. Powered sites are not available. Facilities for campers are shared with the bunkhouse and include a 6m x 8m covered eating area with benches and tables, drinking water from a rainwater tank, gas BBQs, and a bathroom with flush toilet and hot shower. Facilities are basic, but the setting is awesome. Enjoy beautiful clouds, sunsets, and starlit night skies around the campfire. A large, grassed area is suitable for games and activities. Normally, the bunkhouse & camping area is only used by one group at a time to provide privacy, peace and quiet. Wildlife at Mount Royal Camping Area is protected and no pets, motorbikes or generators are allowed. $15 per person per night with minimum booking $150*. We book only one group at a time for the camping/bunkhouse area and for the eco-cabin. 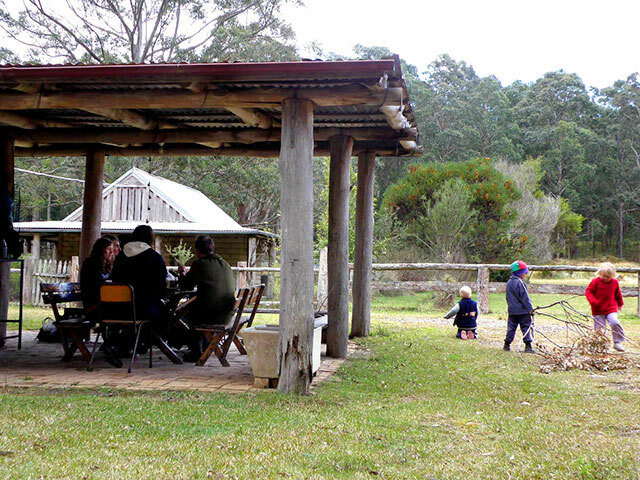 The whole property (bush camping, bunkhouse and eco-cabin) is available for the exclusive use of large groups and functions including weddings and family events.